Read their testimonials! 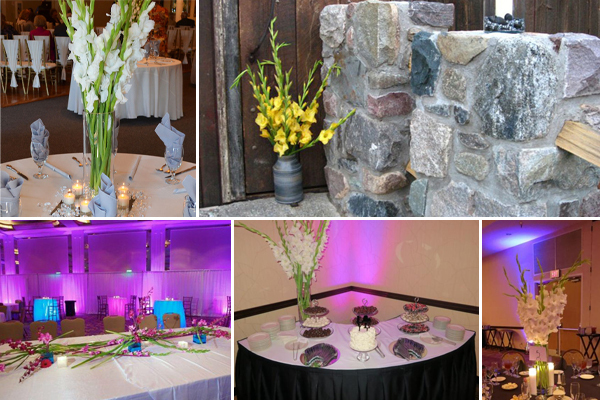 Links clockwise from top left: Classic White Gladiolus Arrangement, Rustic Yellow Arrangement, White Centerpiece and Dessert Table Arrangement, Modern Long and Low Centerpieces. Each Gladiolus stem features about 8-12 blooms running the length of the stem and the stem length can average between 44-48 inches with our premium and super premium gladiolus. They are available in 10 different colors, including Pink, Purple, Red, Green, Yellow, Orange, and, of course, White. 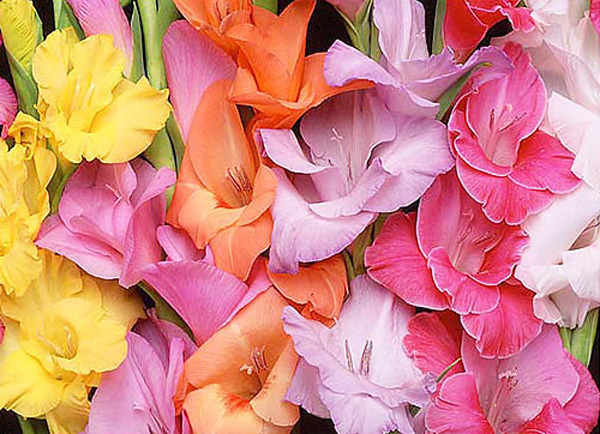 To see our full selection of Gladiolus, click here. Add floral food to prevent bacteria from forming in the water and to give added nutrients to the Gladiolas. If you do not have flower food, it can be purchased at any local florist. Featured Testimonial: Beautiful, Budget Friendly Flowers!